With regards to the first goal, I cannot really say if these blogs have had an impact on anyone and turned them into a Star Wars comic collector. I hope they do get others excited about Star Wars comics and I'll keep writing them as long as I feel there is an audience for them. As for the second goal, in the three months since I've been writing these blogs, I can honestly say I have not met one other Star Wars comic collector. Very few comments are left on the blog postings and most postings have only received a handful of visits. I am encouraged however whenever I share select blogs on various forums because those blogs do receive many more hits than usual. While I wish visitors would take the time to leave a comment or participate in one of the surveys, I understand the mechanism for communication provided by Blogger is awkward unlike a forum like the CGC Forum or The Foreign Comics Forum. As for my third goal, from time to time, I re-read some of my previous blogs and correct errors and add more information. Up until this point, these fixes have all been minor and not noteworthy. Recently, I decided to update two previous blogs to include more substantial content: images of the interior panels of Boba Fett in two key Star Wars comics, Star Wars #42 and Star Wars #68. I have been reluctant to take pictures of the interior of comic books because I want to retain the comics in the condition they are in. I also refuse to take images from other sites and use them here; I want these blogs to contain images from my collection. Both these decisions have at times limited my ability to clearly explain things as I have had to rely on written words only. To get around this, I have made some purchases recently which will allow me provide scans of all the Marvel comics and many of the Dark Horse Comics. Interior scans for Marvel Star Wars comics will come from my set of Star Wars: A Long Time Ago... trade paperbacks from Dark Horse Comics and interior scans for Dark Horse Star Wars comics will come from the myriad of Dark Horse trade paperbacks I now possess. Interior images will still be used sparingly, but at least it is a tool I can now use in my postings. The first blog I updated is First Appearance: Boba Fett. The blog now includes the panels from the 2 pages inside Star Wars #42 that contain Boba Fett. 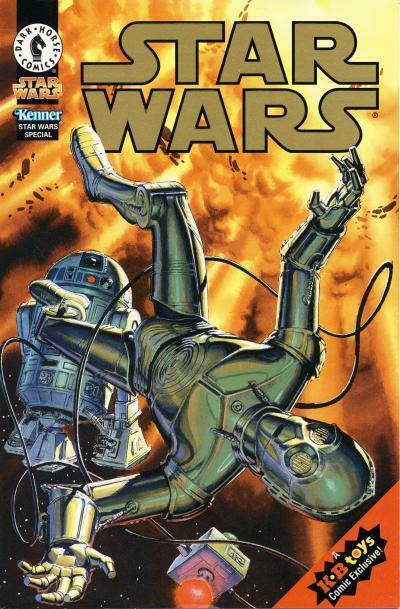 The second blog I updated is Retro Marvel: Star Wars #68 versus Star Wars #81. I added the single 2 page panel from Star Wars #68 that contains a Boba Fett appearance. I am not attempting to diminish the value of Star Wars #42 or Star Wars #68 but am instead hoping to inform collectors. In this day and age of encapsulated comics, it has become common for sellers and buyers to take the labels on an encapsulated comic as gospel. This has led to confusion in the marketplace about the significance of a character's appearance inside a comic, whether it is a cameo, first appearance, major appearance, ad appearance, etc. What needs to be understood is grading companies like CGC, CBCS, and PGX make mistakes on labels. My understanding is labels are established by those purchasing the grading service. Unfortunately, it can be costly for the grading companies to correct mistakes on labels, so usually they don't. Another problem is these grading companies do not necessarily grade all the various formats that comics take, so their labels are applicable to those format they do grade. For many years, CGC did not grade magazines. So, a label for the first appearance of a character in a comic would be affixed to a traditional pamphlet format comic, because that is the first appearance of the character in a format that the grading company grades, even if that character had a previous appearance in a format the grading company does not handle. I'm not saying a conscious decision was made to ignore formats not handled by a grading company, but it might help explain why Incredible Hulk #271 with a cover date of May 1982 is labeled as the first appearance of Rocket Raccoon when Rocket Raccoon's first appearance was in a magazine, Marvel Preview #7 in 1976. Regardless, from time to time, I will make updates to previous blogs. When those changes are significant, I will let you know about them. In 1995, Kenner relaunched the Star Wars action figure toy line which was an immediate success. Since then, Star Wars toys have proven to be a perennial fixture in toy stores across the country. One toy store that sold Star Wars toys was KB Toys, a nationwide chain that mostly operated in shopping malls. In 1998, KB Toys distributed Star Wars Special: The Constancia Affair, a free exclusive comic published by Dark Horse Comics in conjunction with Kenner. 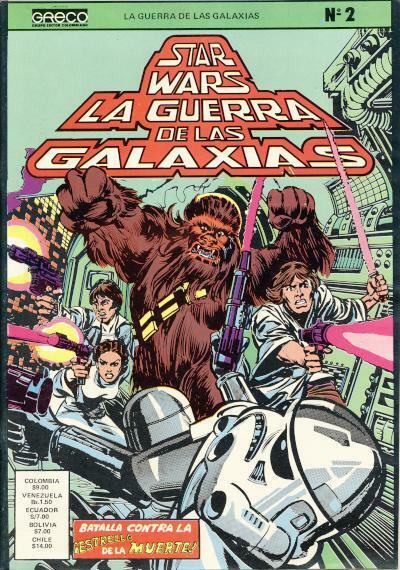 Star Wars Special: The Constancia Affair collects a 1979 Star Wars comic strip by Russ Manning who is best known for creating the comic book character Magnus, Robot Fighter. This strip does not appear in the Classic Star Wars: The Early Adventures title which contains most of Manning's other Star Wars strips. 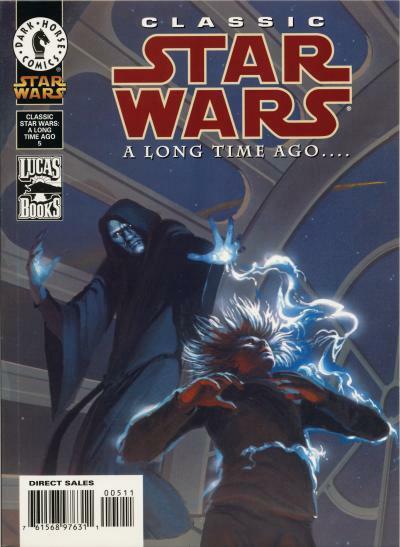 Dark Horse Comics had published comics for inclusion in Kenner's Shadow of the Empire toys in 1996 and this comic continued that relationship. 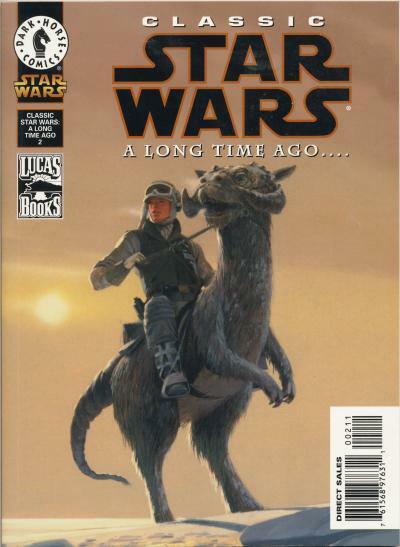 Dark Horse benefited from these promotional comics because they provided awareness for the Dark Horse Star Wars comic line to an audience eager to consume new Star Wars products. KB Toys went out of business in 2009 after 87 years of being in business. British Star Wars fans were treated to a weekly dose of Star Wars comics in the form of Star Wars Weekly. At first, the Star Wars Weekly title presented stories that were already published for U.S. readers. Eventually, Star Wars Weekly caught up to the U.S. published Star Wars stories and new content was created for the Star Wars Weekly. One story published in Star Wars Weekly before it was published in the U.S. Star Wars title was Silent Drifting, the first half of which was published in Star Wars Weekly #43. Star Wars Weekly #43 has a cover date of November 29, 1978. 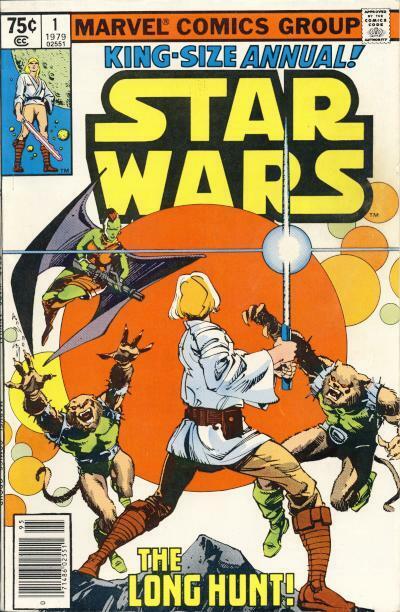 The U.S. Star Wars #24 which contains this story has a cover date of June 1979. U.S. comics at the time had a cover date 3 months in the future from the time the comic was on the stands. This was done so the comic had a few months to sell and the news agents knew when to pull unsold issues from the stands. 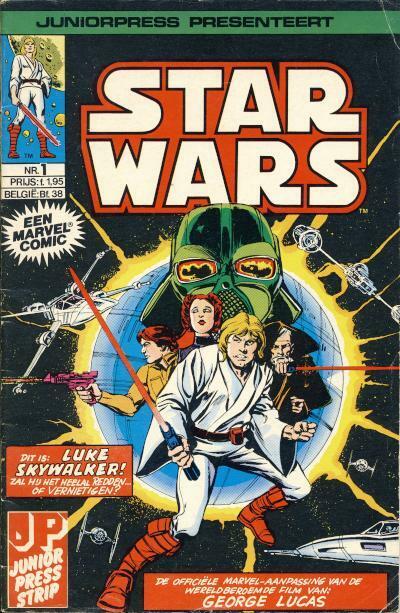 So Star Wars #24 was on sale in March 1979. 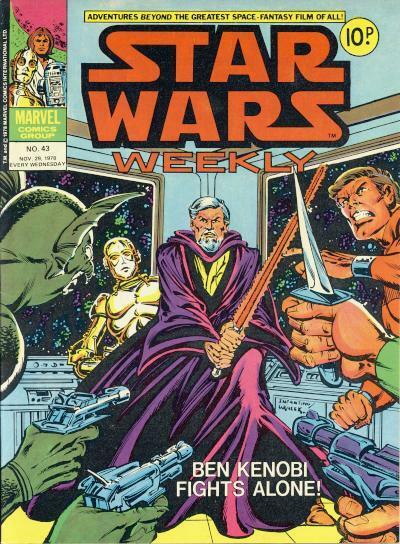 Star Wars Weekly #43 was most likely printed before Star Wars #24. So, not all Star Wars Weekly issues are just "reprints" of the U.S. Star Wars issues. Foreign comic collectors do not label foreign printings as reprints. The first printing of comics for a foreign market are instead referred to as foreign editions. So, Star Wars Weekly #43 and #44 are the British editions of Star Wars #24. In 1977, Marvel Comics began publishing a magazine-sized series of one-shots in a title called Marvel Comics Super Special which ran for 41 issues until 1986. Additionally, in 1982, Marvel kicked off a line of original graphic novels with The Death of Captain Marvel. French publisher Editions Lug brought several of the one-shots from both series to French audiences in a title called Top B.D. Like many Editions Lug titles, this title has an accompanying collection or album called Top B.D. Album Relie. The collections consist of two issues of Top B.D. bound in a new outer cover. The Return of the Jedi adaptation from Top BD #3 - Le Retour Du Jedi (Marvel Super Special #27) and the 2010 adaptation from Top BD #6 - 2010, L'Année du Premier Contact (Marvel Super Special #37) were combined to make Top B.D. Album Relie #3. The cover says The saga of the stars Return of the Jedi and... 2010. I'll be honest, I don't understand all the hoopla surrounding Darth Vader #3. Darth Vader #3 is introducing a new character, Aphra, and two droids. There have been so many new Star Wars characters introduced in the Marvel and Dark Horse titles over the years, it seems unwarranted that the introduction of these characters would receive so much attention. Darth Vader has had several side kicks and apprentices over the years. Marvel introduced two Vader apprentices with Shira Brie in Star Wars #56 and Flint in Star Wars Annual #3. Dark Horse introduced a sidekick for Vader with Jix in Shadows of the Empire #2. Another apprentice was Starkiller from Star Wars: The Force Unleashed. As for evil droids, there was that trip to Kligson's Moon R2-D2 and C-3PO took in Star Wars #47 among others. Regardless, you can read more about the speculation surrounding Darth Vader #3 over at Bleeding Cool. A common theme you see with foreign comics is the bundling of several printed issues into a collection with a new outer cover. Whether or not the issues that are included in the new collection are returns, warehouse stock that did not sell, or are even new printings is unknown. The French publisher Editions Lug did this with the Titans title and sold these collections under the title Titans Album with its own numbering. 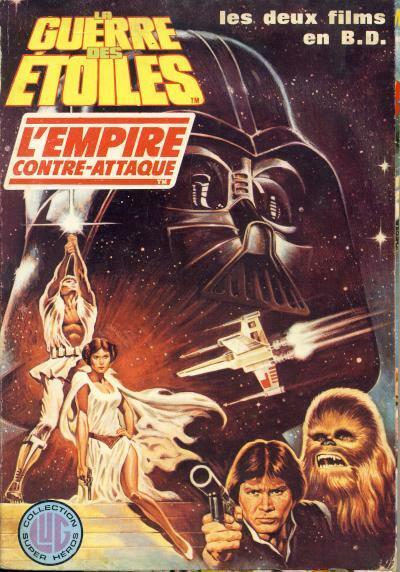 The la Guerre des Etoiles and the L'Empire Contre-Attaque trade paperbacks were also bundled into a collection or album. The two trade paperbacks had about 1/4" cut off from the sides and were glued into this the new outer cover. On the picture above, you can see the cover for the La Guerre des Etoiles trade paperback sticking out slightly from this outer cover. Marvel Comics has a tradition of publishing annuals going back to its early days in the 1960s. Annuals are longer than standard issues and when used properly, give writers the freedom to tell more epic stories. 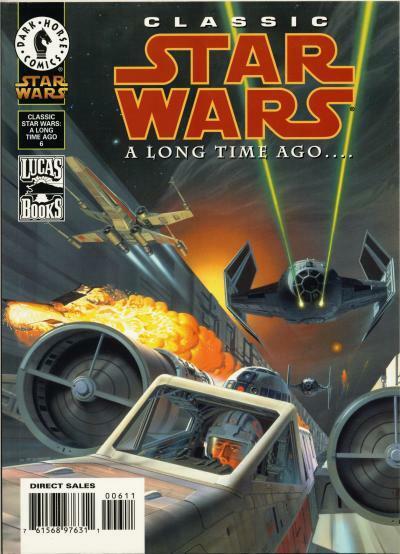 Chris Claremont, best known for writing the Uncanny X-Men title, used the extra pages to good effect in the Star Wars story, The Long Hunt, in Star Wars Annual #1. Han Solo, Chewbacca, Luke Skywalker, Princess Leia, and the two droids stop at the planet Tirahnn to pick up supplies for the Millenium Falcon. Luke and Leia visits the galaxy renowned bazaar where they run afoul of Kharys, the Majestrix of Skye, and narrowly escape the pursuit of her Catuman body guards although Luke is injured during the ordeal. Back on the Falcon, Han Solo is visited by an old smuggler friend Katya and when Han and Katya hear Luke and Leia's description of Kharys, a bald winged female alien, they immediately recognize her. Later, as Katya and the others are sleeping aboard the Falcon, a smoke demon boards the Falcon and kills Katya and the injured Luke kills the demon. Han Solo decides to confront Kharys on Skye and en route to the planet, he recounts a tale of his smuggling days where he and Katya were part of a Correllian smuggling crew that is captured by Kharys on Skye and only he and Katya escaped. Above Skye, the Falcon runs into a squadron of TIE Fighters and Luke, Leia, and the two droids use the Falcon's lifepod to escape while Han and Chewie stay aboard the Falcon to fight off the TIE Fighters. On Skye, Luke and Leia are captured by more winged aliens of the same species as Kharys, the S'kytri. The S'kytri are reluctant servants of the Empire and when they learn who Luke Skywalker is, they believe he the person foretold in a prophecy who was meant to free them from Imperial rule. They offer assistance to Luke and Leia in freeing Han and Chewbacca who were captured by Kharys who is in league with the Imperials. Luke and Leia mount an aerial assault on the fortress of Kharys with the S'kytri's help and Leia frees Han and Chewie. Luke Skywalker engages Kharys in the sky above the fortress in a lightsaber battle and dispatches Kharys, fulfilling the prophecy. Our star warriors are told one more tale by the S'kytri about a Jedi Knight named Obi-Wan Kenobi who visited the planet with two students during the Clone Wars and saved Skye. One student was named Skywalker and the other, Darth Vader, returned to the planet years later to subjugate it and install Kharys as the Imperial liaison. This story delivers on many levels for Star Wars fans. First of all, it does a good job showing Luke and Leia as young adults and Han as an older, more seasoned companion. The tale and associate from Han's past was especially welcome and the different aliens, the S'kytri, the smoke demon, and the Catuman, could easily have fit in the movies. The idea of the Falcon having a lifepod makes sense with what we know of other ships in Star Wars and the Imperials are reasonably competent. The Clone Wars mention along with Obi-Wan and his two apprentices, while not correct with what unfolded in subsequent movies, no doubt raised debates among fans eager for more back story to Obi-Wan and Darth Vader. Chewbacca gets treated reasonably well and his devotion to Han Solo is displayed several times in the story. The only weakness was the lack of a real purpose for the two droids, C-3PO and R2-D2. Additionally, while Luke fulfills the prophecy, one cannot help but think the Imperials will return to Skye and impose even harsher control over the population. Boba Fett was a hit with Star Wars fans from the beginning. Much of that success can be attributed to Lucasfilm's early exposure of the character to fans eager for movie news prior to the release of The Empire Strikes Back. Boba Fett starred in a cartoon short in the Star Wars Holiday Special which aired on CBS on November 17, 1978. Boba Fett's real popularity took off though when he was turned into an action figure by Kenner in 1979. To sell Star Wars toys and promote the upcoming movie, a free Boba Fett action figure was given away by mailing in 4 proof-of-purchase seals from Kenner Star Wars action figures. 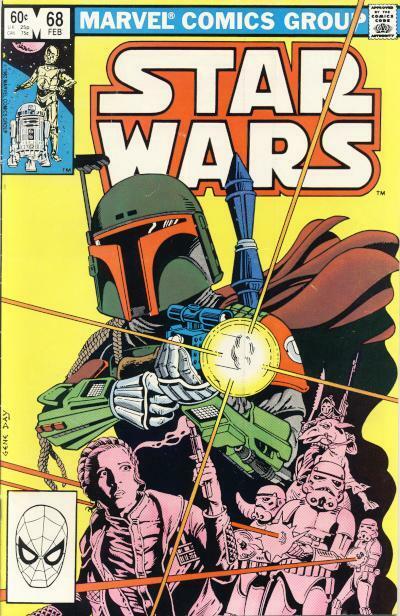 Marvel Comics published a couple of original tales that featured Boba Fett. 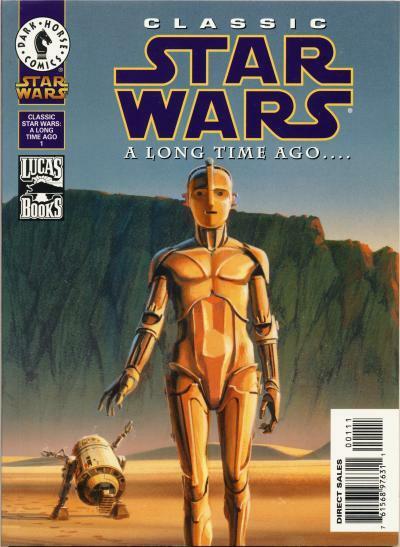 The first tale occurs in the first issue of a two part story that begins in Star Wars #68. Attempting to rescue Han Solo from Boba Fett, Leia tracks Dengar to the planet Mandalore on intelligence that Dengar may have been in on Boba Fett's original plans to capture Han. On Mandalore, Leia encounters slavers and ends up fighting alongside a Mandalorian soldier that looks very much like Boba Fett against the slavers. After the battle, Leia learns the Mandalorian is not Boba Fett, but Fenn Shysa. Fenn Shysa tells Leia he was part of a group of 212 Mandalorian commandos who helped the Empire during the Clone Wars. The commandos' leader was Boba Fett and only 3 commandos survived the war. A disenchanted Boba Fett struck out on his own after the war to become a bounty hunter. This story told by Fenn Shysa takes place in a 2 page spread with a single picture of Boba Fett. This is the only appearance of Boba Fett inside the comic. 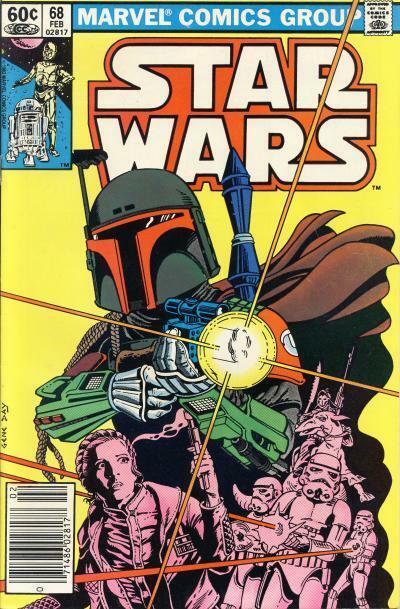 The second original yarn to feature Boba Fett occurs in Star Wars #81. In the first story post Return of the Jedi, Han Solo is attempting to reconnect with his previous life and decides to take a trip to Tatooine in the Millennium Falcon with Princess Leia and R2-D2. Meanwhile on Tatooine, Boba Fett crawls out of the Sarlaac Pit and is picked up by Jawas in a Sandcrawler. Back in Mos Eisley, Han Solo is getting use to his new circumstances when he and Leia discover R2-D2, who was watching the Falcon, was stolen by Jawas. They "borrow" some landspeeders and race after the Jawa Sandcrawler to retrieve R2-D2. Han and Leia attempt to stop the Sandcrawler by exchanging blaster fire with the Jawas. Eventually, Han boards the Sandcrawler and finds not only R2-D2 but Boba Fett. The amnesiac Fett helps Solo free R2-D2 but regains his memory just as Han is helping Fett out of the Sandcrawler. In the end, the Sandcrawler and Boba Fett fall into the Sarlaac Pit. The covers for Star Wars #68 and #81 show Boba Fett in a similar pose although Fett does shares the spotlight on the painted cover to issue #81 with other characters. Boba Fett only appears in a 2 page spread inside Star Wars #68. The other 2 surviving Mandalorian commandos do appear in more panels wearing the same armor as Fett in Star Wars #68 and #69 however. Even though the story is contrived and returns Boba Fett to the same status quo he starts in, Star Wars #81 has the more significant Boba Fett appearance and is the first time readers learn that Boba Fett survived the battle on Tatooine in Return of the Jedi. Ultimately, both original tales are weak Boba Fett stories. Marvel may have been hamstrung by Lucasfilm with no clear direction for the franchise after the Return of the Jedi. 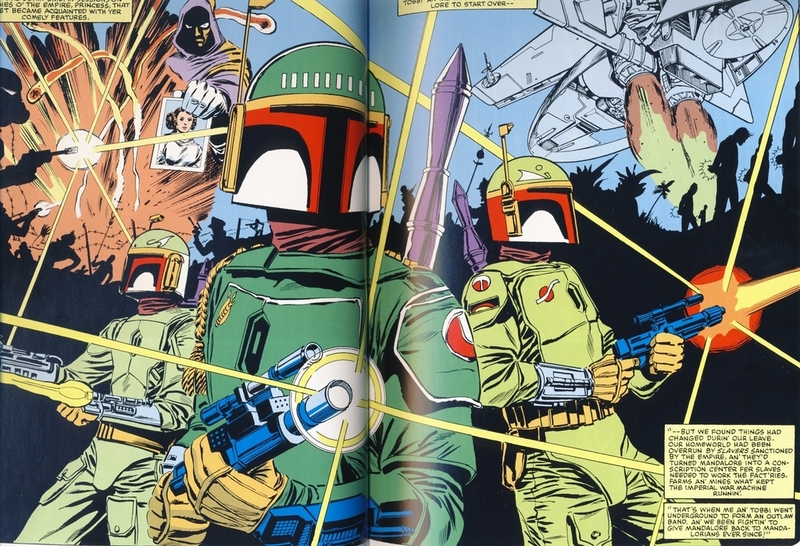 Readers were treated to more (and better) Boba Fett stories when Dark Horse Comics began publishing Star Wars comics in the 1990s. The Comics Chronicles posted their February sales estimates, and Darth Vader #1 followed Star Wars #1 with strong sales. It came in 2nd place on the chart with over 264,000 copies, behind Orphan Black #1 another Loot Crate phenom! Star Wars #2 fell to a very respectable 162,000 copies in 4th place, Darth Vader #2 came in at just over 100,000 copies in 7th place, and Star Wars #1 was on the charts again this month in 53rd place with over 33,000 reordered copies. Please read the blog posting February 2015 comics sales estimates online: Of "Asterisk Eras" and sales charts. 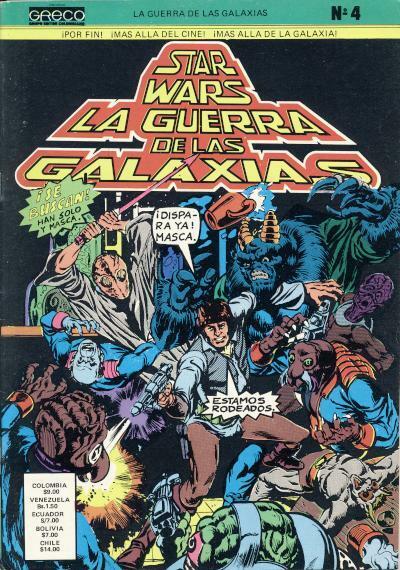 Here are some non-Western Star Wars comics I could use more information about. 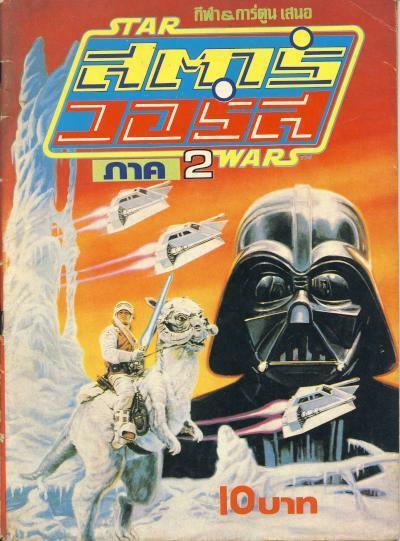 This Thai Star Wars comic collects the Star Wars adaptation from Star Wars #1 - 6. 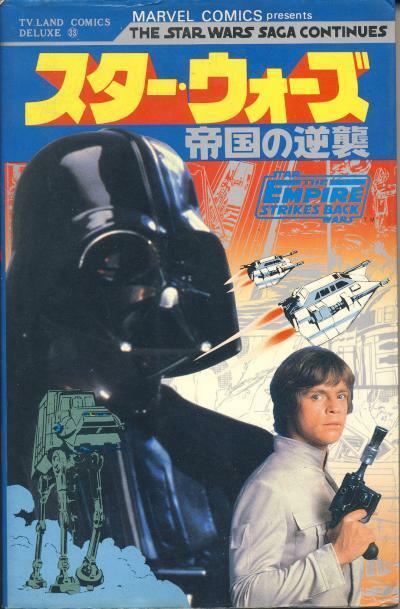 It is a black and white magazine and the splash page with the Star Destroy chasing the blockade runner has "Star Wars" in English at the top like the U.S. edition. The text boxes and word balloons match the U.S. comics, with some text areas with large blank spots around the Thai words and others with the Thai words crammed into the space. The cover price is 15 baht (Thai currency) and the art is similar to the original Star Wars posters with some minor modifications. Along with the Star Wars #1 - 6 pages, there are several pages of information about Star Wars at the front and end of the magazine. Many of the photos are publicity photos that are familiar to U.S. Star Wars fans. The center of the magazine has several photos in color very similar to the photo found on the back cover. The publisher and data of publication is unknown. This next Thai comic is titled Star Wars part 1. The publisher is Siam Sports Publishing, which is a large publisher of mostly sports periodicals (daily papers, weekly and monthly magazines, etc.) in Thailand. The date of publication is unknown. This black and white magazine-sized comic contains Star Wars #1 - 6. 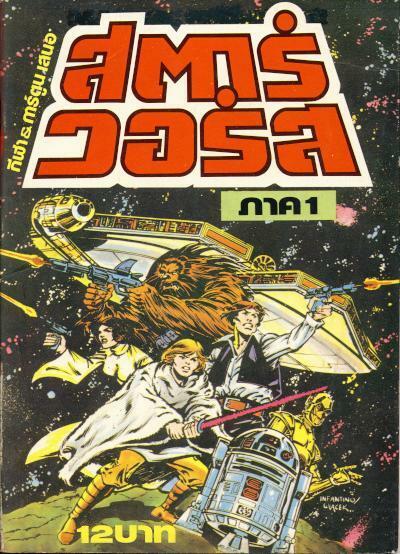 The translation in this comic is different than the previous shown comic which also contains Star Wars #1 - 6.&nbps; For one thing, the splash page shows "สตาร์ วอร์ส" instead of "Star Wars" in English. The word balloons and text boxes have been sized to fit the Thai translation. The cover price is 12 baht. 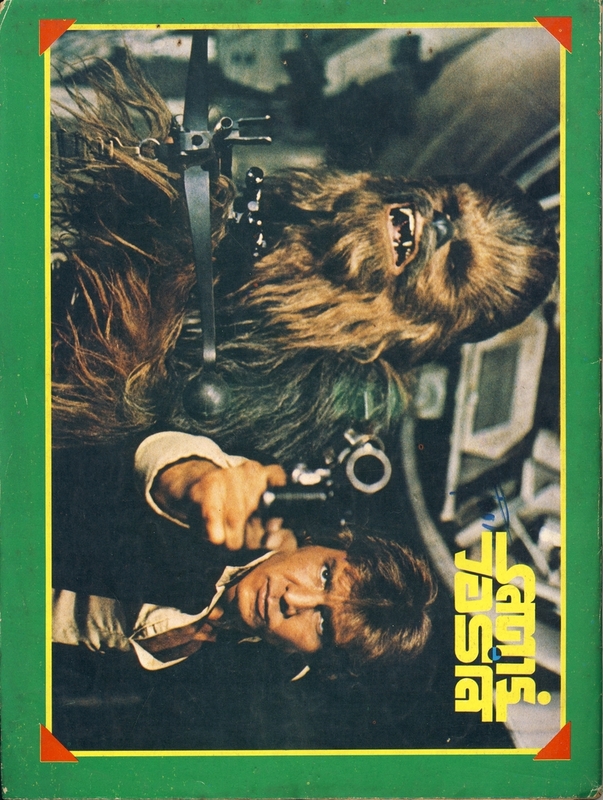 The cover is the same cover used on the 1979 British Star Wars Annual hardcover. The back cover of this issue shows Ralph McQuarrie art and looks to be an ad for the next issue containing the Empire Strikes Back adaptation. 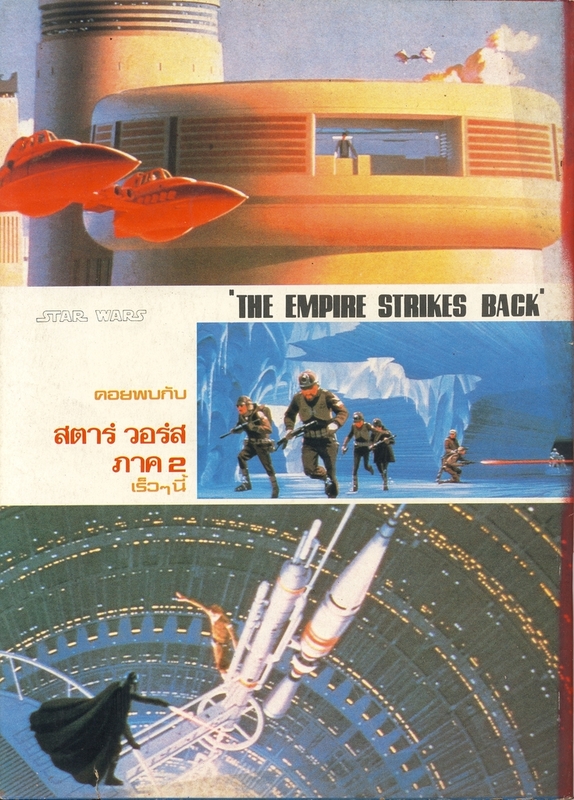 The Thai magazine, Star Wars part 2, contains The Empire Strikes Back adaptation. The publisher is Siam Sports Publishing and the date of publication is unknown. The cover price is 10 baht and the cover is the familiar cover used for most The Empire Strikes Back adaptations. 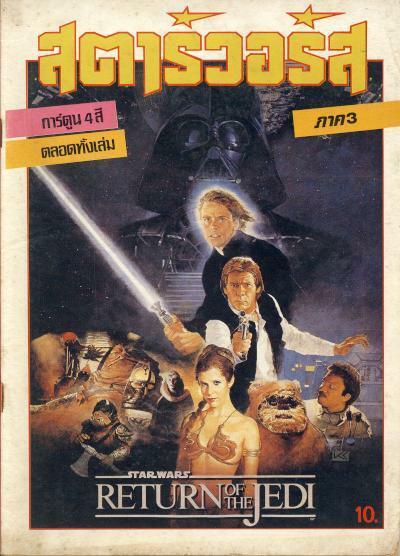 The final Thai magazine, Star Wars part 3, contains the Return of the Jedi adaptation. The publisher is Siam Sports Publishing and the date of publication is unknown. The cover price is 10 baht and the cover art is from the Return of the Jedi poster. I believe the order I presented these magazines is the order of publication, despite the declining prices. If you have more information concerning these comics, I would appreciate it. The Dutch speaking population of the Netherlands (also informally known as Holland) had to wait until 1982 before they got their own Star Wars #1. 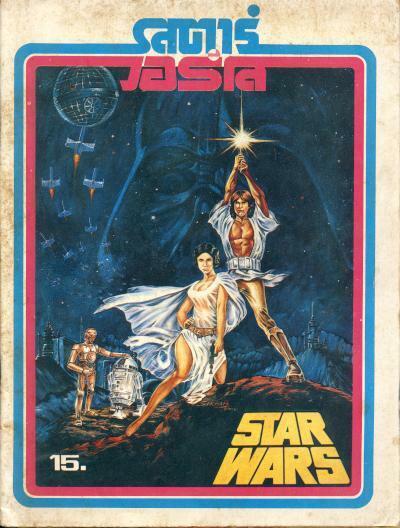 Juniorpress published the Star Wars title which ran for 24 issues ending in 1984. The cover to the Dutch Star Wars #1 has the same art as the U.S. edition. Juniorpress continued publishing Dutch editions of Star Wars comics with the Star Wars Special and Star Wars Omnibus titles from 1984 through 1989. The final numbers are not out yet, but Marvel Comic's Star Wars titles have taken 3 of the Top 10 spots for February 2015. Head on over to The Comics Chronicles to read more. In the summer of 1975, I was working on the Universal lot for Alfred Hitchcock when I ran into George Lucas and Gary Kurz. They told me about their new project they were starting up at Fox, and asked me if I'd be interested in reading the script. "Sure," I said, I'd love to read it. And I loved it. I loved it so much I wanted to work with George and Gary on Star Wars. I met with George to talk about our ideas of marketing and merchandising the film. We both loved comics, science fiction and toys, so it was easy for us to come to a mutual understanding that we'd work together using comics and toys to promote the film. I had other projects to tie up before I could begin working on Star Wars, so it was several months after our initial meeting that I finally started working. George and Gary had received a go-ahead from Laddie so they left to begin pre-production. I was left with free rein to market and promote Star Wars the way I deemed best. From the very begining, it was my intention to market Star Wars using comics. The reason why is very simple - its the same audience. That's a no-brainer today, when Comic-Con is used to premier a lot of Hollywood product, but in 1976, films weren't marketed that way. Basically, films were conventionally marketed through ads in newspapers, radio and TV spots. In the 70's, the best news stand in Los Angeles was World Books and News on Cahuenga. I went there regularly to buy comics, magazines and newspapers. I got to know one of the guys there, Larry (think he was one of the owners), who would look out for things which might interest me. World Books and News was one of the few places in LA you could get stuff like international magazines and underground comics. Larry saved Star Reach's first issue for me. The cover was by Jim Starlin but Chaykin had a 16 page Cody Starbuck's story. The moment I read it, I loved Cody Starbuck. I don't think I showed George the Cody Starbucks at our initial meeting at the Black Tower on the Universal lot, but by the time George left to start pre-production in the UK, he agreed with me. We wanted Chaykin to do the comics. Cody Starbucks was a swashbuckling figure like you might have had in a Three Musketeers strip but very contemporary. Although he had a sword, Cody was drawn in such a way you knew he could also handle a gun or lightsaber. He was not stuck with a period look, which is what we needed for Star Wars. We had to have characters which were drawn in such a way they transcended time and space. They had to be characters which the readers would accept. We also decided to go with Marvel, and not DC Comics. I had met Jeannete Kahn, who ran DC, but felt they were not on the cutting edge. This was because DC was as not as aggressive a company as Marvel. Marvel had come out with Conan and other characters which we felt were in line with what we wanted to do with a Star Wars comic series. DC had one guy there who was a great historian that I really liked, but as a whole, they were too staid a company. Roy Thomas had been the editor at Marvel and had done a terrific job expanding their character lineup by bringing in characters from pulp fiction, including the great Robert E. Howard's Conan, King Kull, and Solomon Kane. Marvel's aggressive expansion of characters was important because we needed to be with a company who was actively building a science fiction base. That's the background of the decision to go with Chaykin and Marvel. With George and Gary in the UK, I was busy copyrighting STAR WARS property and putting together the presentation for Fox's Board of Directors meeting to get more money into our revised production budget. This was the legendary Fox's Board of Director's meeting where Board members confused the title Star Wars with movie stars battling. I then did the presentation at Fox's Exhibitors' convention, the "26 for 76" meeting. A few days later, I went to New York and did the same presentation for Fox's New York offices. After that presentation to the New York office, Marc Pevers and I went to New York's International Toy Fair. I used the hotel's phone book and found Marvel's number. I tried calling Marvel cold to see if I could get a meeting with Stan Lee. I couldn't. No, Stan Lee didn't have any appointments free that day, the next day or even next week. So what was I going to do? How was I going to get in? Ah, Ed Summer, George's partner in Supersnipe. Ed had comic book connections, why not use them? Duh... So I called Ed to see if he could arrange a meeting with Roy Thomas, who had been the editor at Marvel previously. I knew Roy would knows the ins and outs of getting into Marvel. Sure enough, Ed knew Roy and set up a meeting that evening. We went to Roy's house and I pitched him the star wars comic books. Roy loved it. Roy wanted to be involved! Great! I mean, Roy was a legend! It would be a phenomenal team -- Roy writing and Chaykind drawing. the two would do a great comic book. Roy then set up a meeting with Stan. See, what this proves is that there's more ways than one to get into a door. I mean, in LA it's legendary that writers try everything from throwing scripts over a producer's fence so it lands next to them sunbathing by the pool to getting to know an actor's hairdresser. I was going to use every possible connection to get an in to meeting Marvel. The meeting. Stan Lee and Eddie Shukin, business manager for Marvel, were there as Roy pitched the project. I stepped in, telling them the number of comic books I wanted to do, when I wanted to have them out, and how I would promote the comicbooks. Besides the typical publicity route, I would arrange for us to get put on San Diego's 1976 Comic-Con's schedule, and even bring Roy and Howard out for a presentation. We would do a Chaykin poster that would be sold for a minimal fees to give the fans something they could take away with them until the comic book came out. While the idea of getting fans reved up and interested in Marvel's Star Wars Comics thrilled Stan and Shuykin, what excited them even more was they weren't going to have to spend a penny licensing the comics. We were giving them the rights free. And to top it off, we would not only give them the first 5 issues free, they wouldn't have to spend a nickle promoting it. We would foot the bill, from Comic-con to ads. This was an offer Marvel couldn't refuse. At the time, I didn't know Marvel Comics was in financial trouble. It wouldn't have mattered, because Marvel and DC were still at the top of their game. We needed the comic books to get to our market, and both these companies had their distribution channels set up so we could reach our market. It was worth giving away stuff FREE to get a foothold into the market because we would be reacing our audience. After my meeting with Stan and our coming to an agreement for the first 5 books being free, with payment on the 6th, Marc Pevers then took over the legal contracts. Marc Pevers was Fox's representative and an attorney who negotiated licensing deal with me. I represented Star Wars. Marc, 20th Century. The two of us had gone to the Toy Fair to license Star Wars and after the Toy Fair, Marc had gone back to Los Angeles while I stayed trying to lock down the Marvel deal. There were people in Fox's marketing department who really thoght I was wasting my time staying in New York to meet with Marvel. They truly believed comic books were not worth the effort -- and thought I was nuts for giving away the rights. They could not see tie-in the between comic book audiences and Star War audiences, nor did they realize that by giving away the first 5 free, we'd have out market build for the 6th and beyond. To conclude this section of the MARVEL STAR WARS CMICS, I'll conclude by saying that contrary to rumors, STAR WARS merchandising contracts weren't made with a handshake and $50. The Marvel licensing deal was hashed out by Marc Pevers and Marvel's attorneys, then signed by George. All details were negotiated, then finalized in print, with both parties signing the contracts. "Hi Charles. Great overview of the Marvel Comics situation. For your records, here are some quotes you made that were reported by Variety, June 3, 1987: Lippincott: “Comic books at the time on movies were either one issue or two issues; I wanted five issues, two or three issues before the movie came out and the rest of them after the movie came out. I felt the story was strong enough to do a miniseries, which was unheard of at the time because nobody did miniseries. “I went into a meeting with Lee and others the next day. We talked out a deal. They told me it was not a great deal. They said science-fiction doesn’t work in comic books. On top of it, we aren’t going to give you any advance money. And we won’t give you any royalties on the first 100,000 copies. I said, ‘Fine, I’ll take the deal. But the royalties must be the following: from every copy after the first 100,000 copies and if we continue on after issue Six, that we get royalties right from the beginning. They said, ‘fine.’ “I went back with the comic book deal and told 20th Century-Fox. One, they didn’t care about comic books and two, they told me I was a real dummy.” Source: Charles Lippincott at Marketing panel at Star Wars 10th Anniversary Convention, 5:00 p.m., May 24, 1987. Documentation by Variety, June 3, 1987"
In the first Facebook posting, Steve Leialoha, the inker for Star Wars #2-5 and Star Wars Annual #1, is one of the responders with kind words for Charles Lippincott. 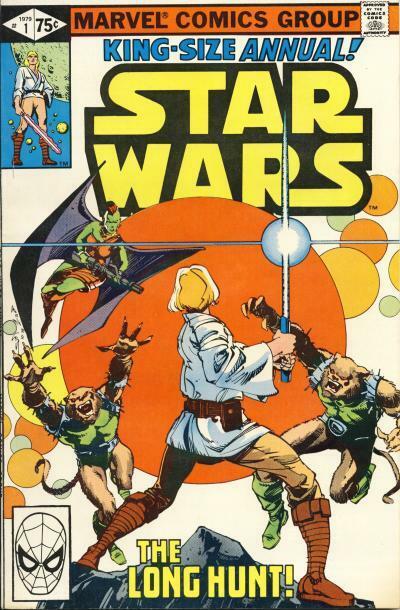 In the second posting, David Herbert responds with postings of the original cover art for Star Wars #1 and the Treasury #1 from his collection. Free Comic Book Day is an annual event that takes place the first Saturday in May. On that day, retailers distribute special comics provided by publishers for free to the public in the hopes of attracting new readers. The first Free Comic Book Day occurred on May 4, 2002, timed to take place the day after the first Spider-Man film was released. At the time, comic books were at a sales low point, and raising interest in the print medium was very important to both retailers and publishers. 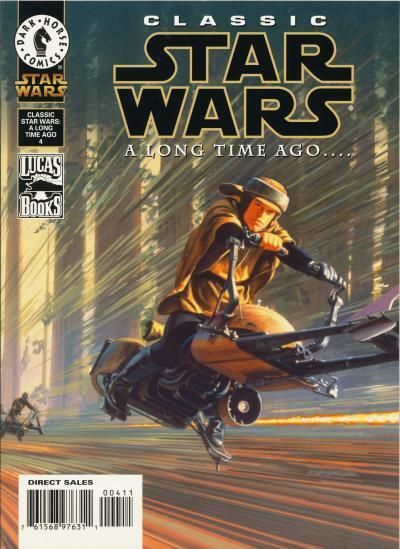 The Star Wars franchise was always a big seller for Dark Horse Comics, so their 2002 Free Comic Book Day offering was a Star Wars comic, Star Wars Tales - A Jedi's Weapon. 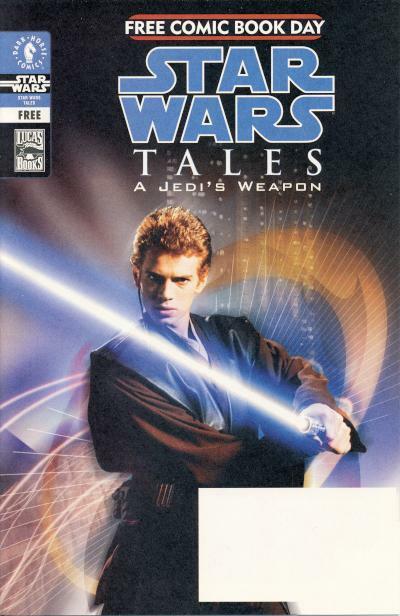 Star Wars Tales - A Jedi's Weapon contains a short story that is printed again a month later in Star Wars Tales #12. The cover for this Free Comic Book Day offering is also used as the photo cover for Star Wars Tales #12 (Star Wars Tales offered both art and photo covers for most of it's run.) In the story, Obi-Wan Kenobi and Anakin Skywalker are diplomatic hosts to the king of Kashir, a world ready to join the Republic. Anakin loses his lightsaber and receives a lesson from Obi-Wan on the importance of trust. Most Free Comic Book Day offerings provide a blank location for a stamp or sticker advertising the comic shop. While some shops used this area to advertise, it is common to find these Free Comic Book Day issues without any markings. Sometimes when I acquire a foreign Star Wars comic, I am not always successful on finding out more information about the comic. This is one of those comics. I see it on some sites called TV Land Comics Deluxe #33, but I have not found any evidence TV Land Comics Deluxe is a title with more than this one issue despite the number 33 on the cover. On the copyright page it is titled, in English, the Marvel Comics Illustrated Version of the Empire Strikes Back. The rest of the comic is in Japanese. This paperback measures 4 1/2" x 6 3/4" and the cover has a nice dust jacket. 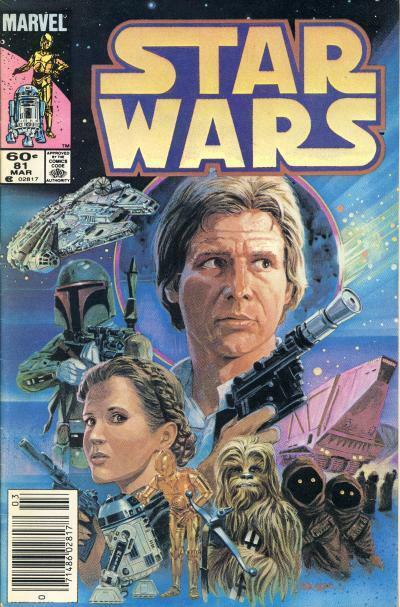 The cover is different from other version of the Marvel Comics Illustrated Version of the Empire Strikes Back with a collage of photos and art. This paperback is definitely a quality product and lives up to the deluxe branding. Unlike other version of the paperback, this issue contains the redrawn Yoda and not the original Yoda. There are some sites that talk about a 2nd edition of the U.S. Marvel Comics Illustrated Version of the Empire Strikes Back which has the corrected Yoda. I have never seen a 2nd edition of that paperback, but the existence of this foreign comic makes me believe that book may exist. If you have more information about this comic, for example, if it was part of a series of deluxe paperbacks, please let me know. I would also like to have proof of the existence of a 2nd edition of the Marvel Comics Illustrated Version of the Empire Strikes Back paperback. Each black and white issue of Classic Star Wars: A Long Time Ago.... contains a gorgeous Ralph McQuarrie cover. The interiors consist of Marvel Star Wars reprints. When the promotion began, the lowest selling Bonelli book was Martin Mystery #1 with close to 6,500 copies. By the end of the promotion, the lowest selling book was Martin Mystery #6 with around 3,500 copies. That puts the print run for the Classic Star Wars: A Long Time Ago.... issues at between 3,500 and 6,500 copies. 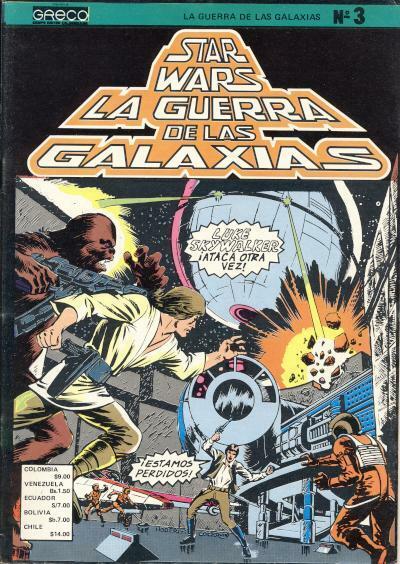 The publisher Grupo Editorial Colombiano (GRECO) published 4 issues of la Guerra de las Galaxias in 1978 that were distributed to several South American countries including: Colombia, Venezuela, Ecuador, Bolivia, and Chile. 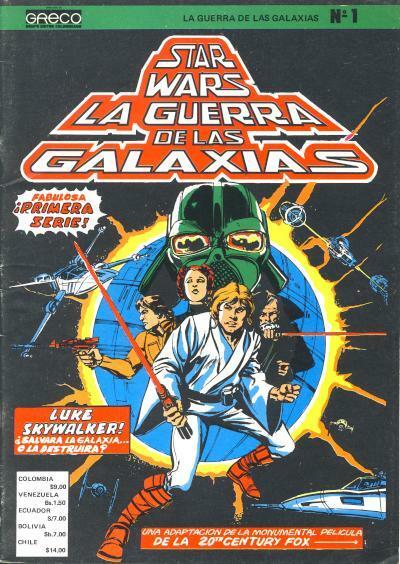 The 4 Colombian issues each contains 2 U.S. Star Wars issues encompassing the Star Wars movie adaptation and Star Wars #7 and 8. Each issue is black and white. There are no ads inside and the back cover matches the front cover. The cover to the issue #4 proclaims: "At last! Beyond the cinema! Beyond the galaxy!" 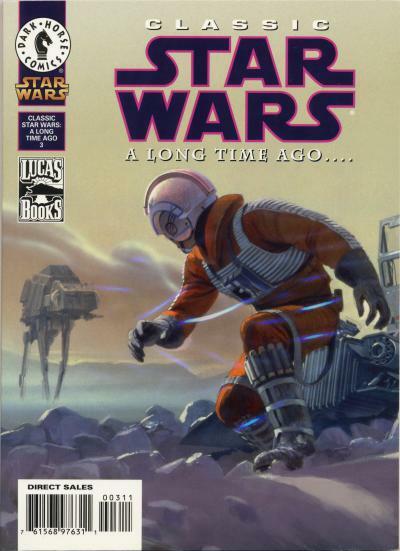 It is the same cover as the U.S. Star Wars #2, but with some notable differences. Luke Skywalker has been replaced by Han Solo and Ben Kenobi has been replaced by an insect alien! To turn Luke Skywalker into Han Solo, his hair is drawn differently and is colored brown. Additionally, Luke's tunic is shortened, the infamous Han Solo vest is added, and a holster is drawn on his hip. For Ben Kenobi, Ben's lightsaber has been replaced by a staff and his face has been redrawn to look like an insect alien. There is a insectoid priest in Star Wars #7 that Han Solo and Chewbacca save from an angry alien mob on Aduba-3 and this new alien on the cover is meant to be that character.